With almost 269 million people, Indonesia is the world’s most Muslim populated country. However, when it comes to cashing in on the global halal industry it ranks 10th, alongside Brunei, for its ability to seize opportunities in the Islamic economy. All that could soon change. Both President Joko Widodo and presidential aspirant Prabowo Subianto have vowed to make Indonesia the fifth largest halal economy in the world if they emerge as winners in next month’s presidential elections. Up for grabs is a slice of a market expected to reach $3 trillion by 2023. In pursuit of this goal steps are underway to increase the range of halal-certified goods available for purchase in Indonesia through a compulsory certification and labeling programme commencing in October this year. By 2022 all drugs, cosmetics, chemicals and biological or genetically engineered products suitable for use by Muslims will need to be labelled as such. Currently only about 20 per cent of halal products in Indonesia are so labelled. Halal certification will cost manufacturers between $140 and $320 depending on a company’s size, said Sukoso, head of the Halal Product Assurance Organizing Agency (BPJPH), and could generate the government about $1.6 billion annually. “We’re preparing the infrastructure now. We hope we can reach every corner of Indonesia”, Sukoso said. Last year 17,398 halal certificates were issued, double the number from the previous year. To reach a target of 100,000 new certificates in 2020 an additional 5,000 auditors are to be employed, said Muti Arintawati, a deputy director at the cleric council’s National Agency of Drug and Food Control (NADFC), noting that there is some 1.5 million F&B companies requiring certification. While Bank Indonesia (BI) predicts that Indonesia’s Shariah economy will expand to $427 billion by 2022, with halal food accounting for more than 50 per cent, it pales into insignificance compared to the size of the sector in Malaysia. According to figures from the Dubai Islamic Economic Development Centre (DIEDC) and Thomson Reuters, in 2016 Indonesia imported some $169.7 billion of halal food and beverage, while in 2017 Malaysia exported more than $10.6 billion worth of halal-certified products. The cost to manufacturers and importers is also considerably more than the certification cost, with some warning the requirement could have undesirable consequences. Halal certification applies to products by category, such as processed meats, dried fruit, detergent, or beverages. Manufacturers only need one certificate per product group. However, before applying for halal certificates for products, manufacturers must first be certified under the Halal Assurance System (HAS) and obtain a minimum ‘B’ rating. Amongst other things, HAS certification requires manufacturers’ staff to undergo internal and external training on an ongoing basis. To ease the burden on small manufactures the Indonesian government will subsidise certification for 1.6 million small and medium-sized food companies. While the pharmaceutical industry will have until 2026 to comply with the halal labeling laws, Parulian Simanjuntak, head of International Pharmaceutical Manufacturing Group told Reuters that it might not be long enough. “The definition of halal is too strict. Life-saving products, such as vaccines or drugs containing blood might be barred after the deadline passes”, he said. It’s not only halal food and beverges where the Indonesian government sees opportunity. The number of Muslims traveling abroad for tourism is forecast to reach 156 million people by 2020, driving an industry worth some $200 billion. Next month it is expected that Indonesia will be ranked first at the Global Muslim Travel Index (GMTI) for global halal tourism and as a Muslim tourist-friendly destination. 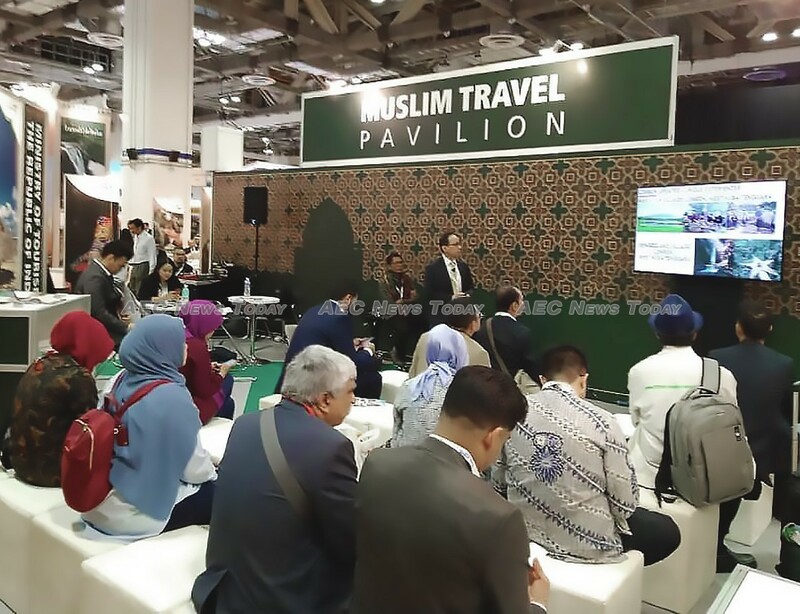 To capitalise on this Indonesian Tourism Minister, Arief Yahya, has set a target of attracting five million Muslim tourists this year, an almost 43 per cent increase on 2018. For 2019 Indonesia aims to attract 20 million foreign visitor arrivals and in 2017 was ranked second only to Malaysia as the preferred Muslim tourist destination. 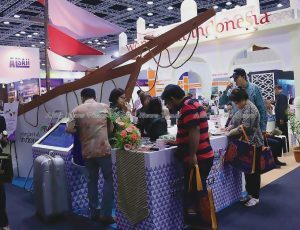 The blossoming Islamic market has not escaped the attention of other Asean member states. Brunei, Cambodia, Thailand, the Philippines, Singapore, Vietnam, Myanmar, and Lao are all setting their sights on the huge potential of the global halal industry. In the Philippines, the Department of Trade and Industry (DTI) in Region 12 recently handed over $96,000 worth of support facilities for the Double “A” halal abattoir in Cotabato City, while the halal food industry in Thailand is part of the bigger plan of Thailand being the ‘kitchen of the world’.